If your time is limited to one day, here are some suggested itineraries, based around the time you plan to enter Biltmore House. Come early and start your morning with coffee and a pastry from the Bake Shop. Take in the stunning beauty of the estate before your visit to Biltmore House. After exploring the house, stroll through our gardens, designed by Frederick Law Olmsted (famed Central Park creator). Dine and relax over lunch at any of our fabulous restaurants. The Stable Café is next to Biltmore House. If you’re visiting on Saturday or Sunday, try brunch at Deerpark Restaurant. You can also make your way to Antler Hill Village, which features the Bistro and Cedric’s Tavern. 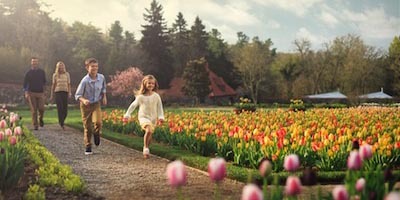 Head over to Antler Hill Village and experience even more of the Biltmore story, including our Winery, Outdoor Adventure Center, Village Green, Farm, and special exhibits. Take advantage of the cool morning temperatures and see why our stunning gardens have been included in the Top Ten Botanical Gardens of the World by Travel + Leisure. Enjoy lunch at the Stable Café, located next to Biltmore House, and visit some of our unique shops. 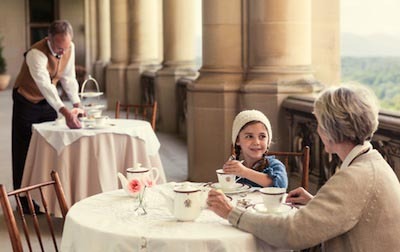 Head to Biltmore House next for your scheduled visit. Afterward, stop by Antler Hill Village for complimentary wine tastings, an excursion at our Outdoor Adventure Center, and more. Make your first stop our Outdoor Adventure Center to embark on an afternoon adventure. Then relax on the Village Green, learn about the Vanderbilts in an exhibition in The Biltmore Legacy, and take a stroll through the Farm. Consider a delicious meal at Cedric’s Tavern, followed by a complimentary tasting at the Winery. 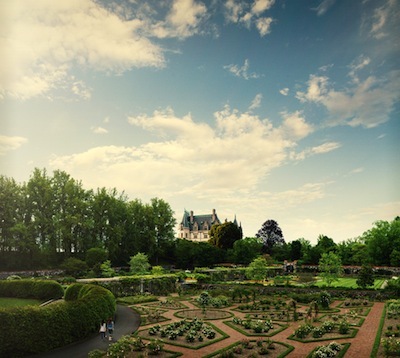 Next, it’s on to the grand gardens surrounding Biltmore House, followed by your visit to the home itself. End your visit with great shopping at our Stable area shops or Gate House Shop.